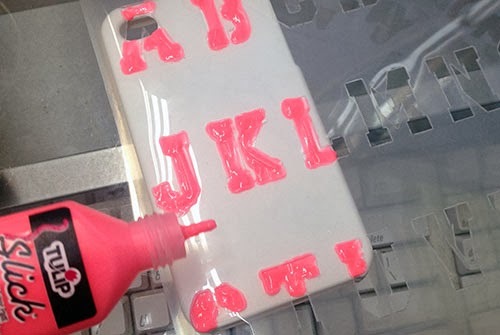 Do you have a boring old phone case that needs some new life? 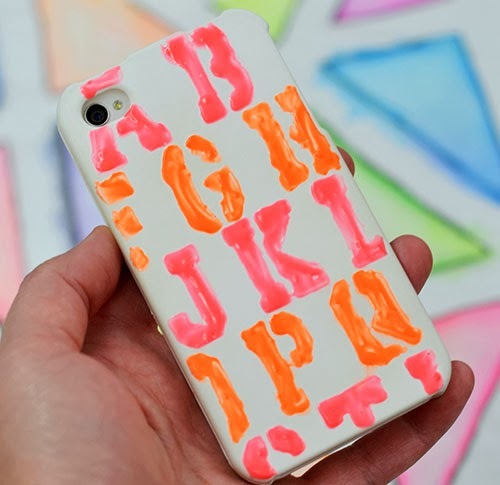 Our new Neon Tulip Slicks will give your phone case the punch of color it's been needing! This colorful DIY takes about 10 minutes in all (plus drying time). Everybody's got time for that! 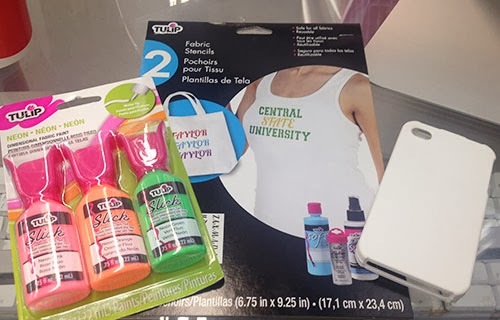 Let me show you just how easy it is to make this fun project! 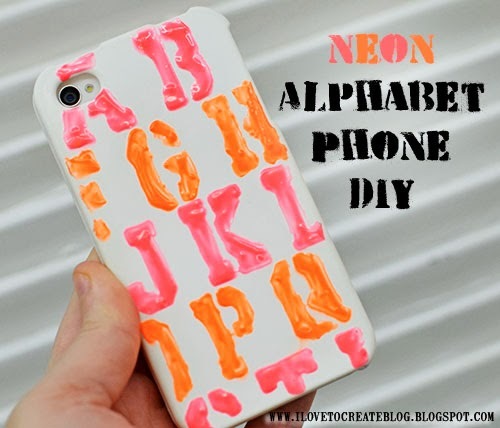 Lay the stencil on top of the phone case and squeeze paint inside letters. The stencil is naturally spaced apart, so I just used the letters straight from the stencil sheet. Let that color dry. Position the same stencil sheet in between the dried set of letters and squeeze inside! Let that color dry. That's all you have to do! A super easy project to complete on a rainy afternoon! 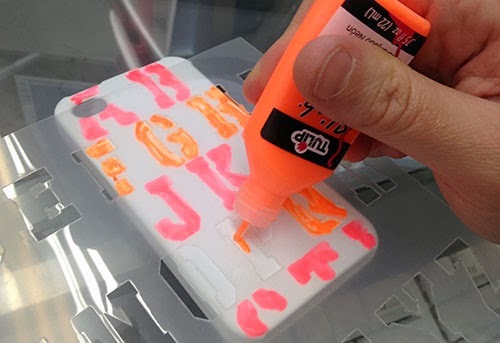 The letters do remain a little bit sticky, so if that bothers you, add a coat of clear nail polish over top to seal the letters and make them stick-free.